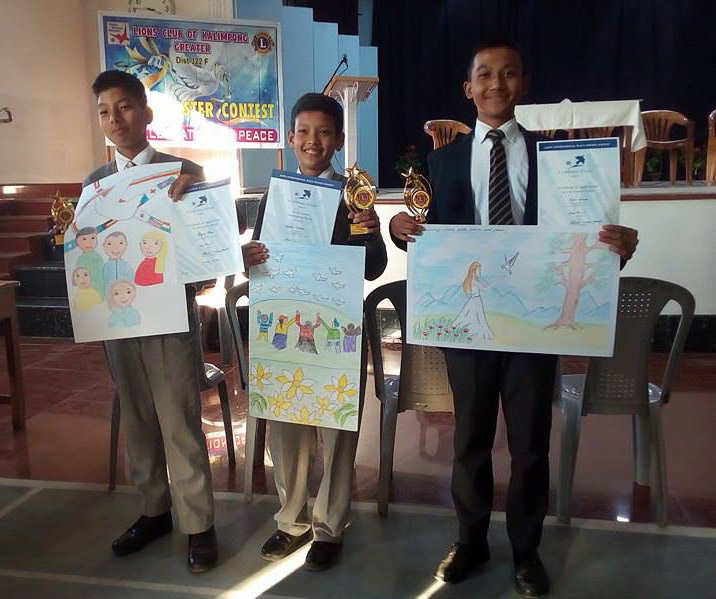 Lions Club of Kalimpong Greater today organised the annual peace poster contest at Kalimpong Sapta Shri Gyan Pith School premises. The program was chaired by Chairman Sanjay Agarwal . All together 16 students from 8 different school participated in the contest. Each year, Lions clubs around the world proudly sponsor the Lions International Peace Poster Contest in local schools and youth groups. This art contest for kids encourages young people worldwide to express their visions of peace. President Lion Kapil Periwal informed that The theme of the 2016-17 Peace Poster Contest is "A Celebration of Peace." Each poster is judged on originality, artistic merit and expression of the theme. He said winning Posters advance through several judging levels: local, district, multiple district and international. Hemlata Pradhan and Chinlop Fudong Lepcha were present as the Judges of the contest. 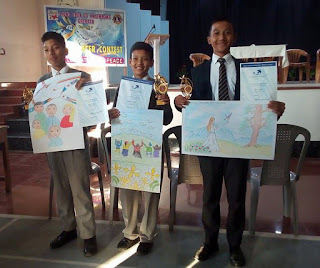 Ayush Chhetri a student of class 5 of Vrindawan School won the 1st prize followed by Uyeal Sherpa of Dr Grahams Homes in second and Jayant Rai of Vrindawan in 3rd Place. The Winners entry will be sent now to District Level informed Periwal. 0 Respones to "Lions Club organise Peace poster contest "